If you're not even sure "What IS HTML? ", then you'll definitely enjoy this section of the site. 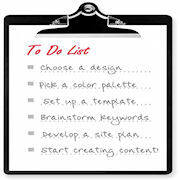 In the tutorials listed below, you'll find step-by-step information on how to use HTML coding on your website. But what does that really mean? Well, according to Wikipedia, a markup language is a series of tags that define a web page. 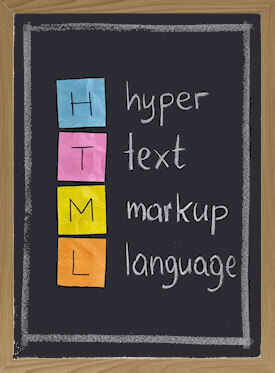 I like to think of HTML as the building blocks of a web page. If you are an SBI block builder, then you should understand the concept of building a webpage by using a block by block method. But SBI hides the actual code from you. 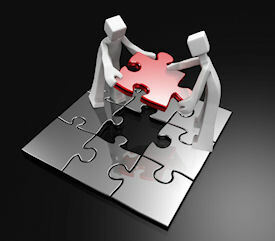 Still, as you choose a headline block or a text block or a graphic block, you are creating HTML code behind the scenes. Many people, like me, learn how to code in HTML directly and can create pages equivalent to what the block builder does. In fact, I learned to use some simple HTML even before SBI was rolled out back in year 2000. HTML isn't hard to learn, and that's why I decided to build this HTML tricks section, which both "from scratch" and block builders can use... as well as people who don't own SBI at all. Here's the thing... right now, anyway, the SBI block by block web page builder is a bit limited when it comes to formatting of your text. That's due to change sometime soon, but we don't know exactly how or when yet. To learn these HTML tricks of the trade and to get the HTML training you need to create interesting and easy-to-read web pages, check out tutorials. 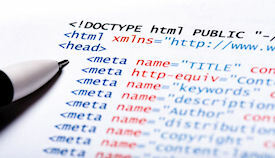 You'll master how to use HTML in no time! Simple HTML tags to format text size, color, font, etc. There aren't really HTML tricks, per se. I'm just calling them that on this page, because that's how people search for info on HTML training. These are really just basic HTML tags that are easy to learn. Master how to use HTML and you'll soon feel like you can do anything online.